Once a peer support program is up and running, it is common that things don’t go as planned. A successful program requires good management and ongoing troubleshooting. 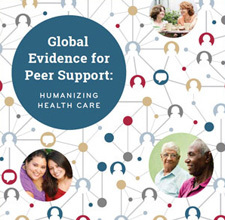 This part focuses on addressing issues related to peer supporters and participants. It shares tips and tools to help manage retention and turnover of peer supporters, structure a constructive approach to supervision, and also reach and engage program participants.